Home » Elections – how to become a Councillor & Why……. 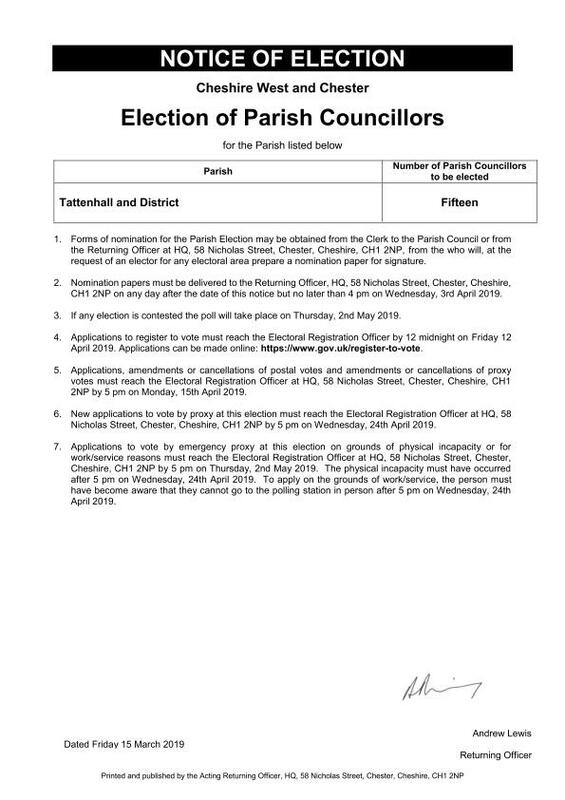 All Parish Councils will be up for election in May 2019 as such Tattenhall and District Parish Council will have 15 seats to fill. BEING A PARISH COUNCILLOR, THE LEGAL STUFF…..
1. You are, and will continue to be, registered as a local government elector for the parish in which you wish to stand from the day of your nomination onwards. 2. You have occupied as owner or tenant any land or other premises in the parish area during the whole of the 12 months before the day of your nomination and the day of election. 3. Your main or only place of work during the 12 months prior to the day of your nomination and the day of election has been in the parish area. 4. You have lived in the parish area or within three miles of it during the whole of the 12 months before the day of your nomination and the day of election. Who can’t be a Parish Councillor? 1. You are employed by the parish council or hold a paid office under the parish council (including joint boards or committees). 2. You are the subject of a bankruptcy restrictions order or interim order. 3. You have been sentenced to a term of imprisonment of three months or more (including a suspended sentence), without the option of a fine, during the five years before polling day. 4. You have been disqualified under the Representation of the People Act 1983 (which covers corrupt or illegal electoral practices and offences relating to donations). You can stand for more than one Parish Council. You can stand for both the principle authority (Cheshire West and Chester Council) and a parish council. Councillor Norman Sharp – joined the Council in 1973. Joined the council just to help people, to be a voice for the people especially those in Newton by Tattenhall. Over the years the Council has dramatically changed, it has picked up pace, when I joined it was the lighting authority responsible for the street lights in Tattenhall, best things that have been achieved include the provision of affordable housing. Being a councillor has been good fun, but you mustn’t take things personally. We need new councillors because it is important to have fresh ideas and new thinking. I have lived in Tattenhall for 39 years and moving to this village with my young family was ‘the best thing we ever did’. There is, as we all know, a wonderful sense of community in this village and I have always striven to be a part of it, and give back to the community in thanks for the good times that I have been given. Being a member of the Parish Council has given me the opportunity to use my experiences and enthusiasm for this wonderful village for the good of the wider community. I have been a member of the Community Safety group which is working with the Highways Dept. at CWaC to improve the state of the pavements and in particular the disabled crossing points. Parking on Chester Road particularly around the school entrance and the path from the Spinney has been discussed and is now under review by CWaC in order to improve the safety of our children. The group is about to begin a review of the CCTV cameras on the High Street. I am particularly proud of my work as a member of the Community Pride group for which I have taken an active role in the group planning of the Armistice Celebrations and of the Christmas activities – the parties for the children and the Lantern Parade around the village which for the last two years has heralded the start of the Christmas Season. Having worked full time plus- with a lot of international travel for my 15 years of living in the village, I felt I really was not a part of the village. I really wanted to be able to get to know my community. What do villagers want for the future and what doesn’t work and what could work better? 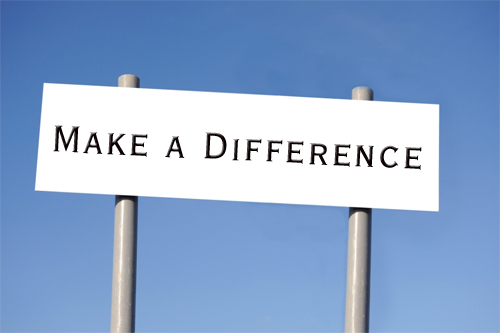 Were there any skills from my corporate life that I could bring to make a difference? I truly believe that every day is school day even at my ripe old age and I wanted to learn how parish councils work and support the lives of our communities. Best thing I have achieved: Being part of the community pride group and taking an active role in in the group planning the armistice celebrations – and winning the bid for the Perspex soldiers.. as well as getting to know a lot more people in the village than I knew before.. Walking to the local shops or taking the dog out takes a good while longer than it used to!